After many years of planning, Horizons at Saint David's opened this week for a six-week summer session. 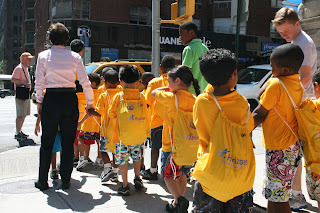 Seventeen very excited rising first grade boys from four different schools in East Harlem came to Saint David's 89th Street Campus for summer school. Program Director Julie Sykes and her staff of teachers and coaches along with the boys are enjoying themselves tremendously. In reflecting on the first week Julie says, "I'm totally exhausted; but what a great success. The swimming is a highlight and the families are so conscientious. The boys are deliriously happy!" It was the school’s desire, consistent with its mission, to celebrate its sixtieth anniversary milestone (2011) by reaching beyond its own immediate community to contribute to the greater public good. The result was the creation of Horizons at Saint David's, a tuition-free summer program for boys from low-income families—the school’s neighboring community to its north. Horizons at Saint David’s is affiliated with Horizons National, a not-for-profit organization with more than 23 affiliate sites in schools across the country. Horizons National is committed to the prevention of academic slide in children from low-income families nation-wide. 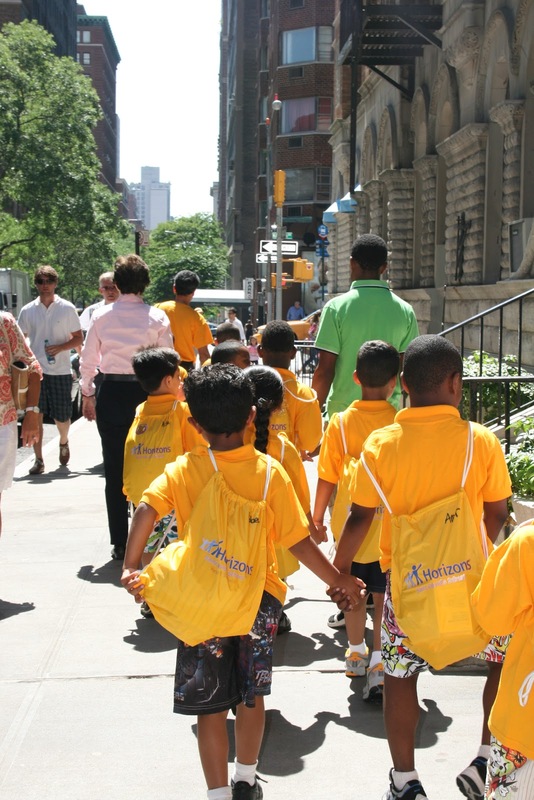 Horizons at Saint David's has partnered with one public, one charter and two Catholic schools all located in East Harlem. Drawing boys from these four schools for the summer, it is the program's aim to provide reinforcement of fundamental academic skills in a joyful, structured setting. Research shows that fundamental academic skills often soften over the summer, especially in children from low income families. With the creation of the program, Saint David’s teachers, administrators, alums, parents and boys have an opportunity to work and learn with teachers, administrators, families and boys from a broader variety of New York City schools, building bridges and making connections. Horizons at Saint David’s opened this Monday July 2 and will run through the middle of August. It plans to add a rising first grade cohort with each successive summer until full enrollment of approximately 115 boys is achieved in the summer of 2020. 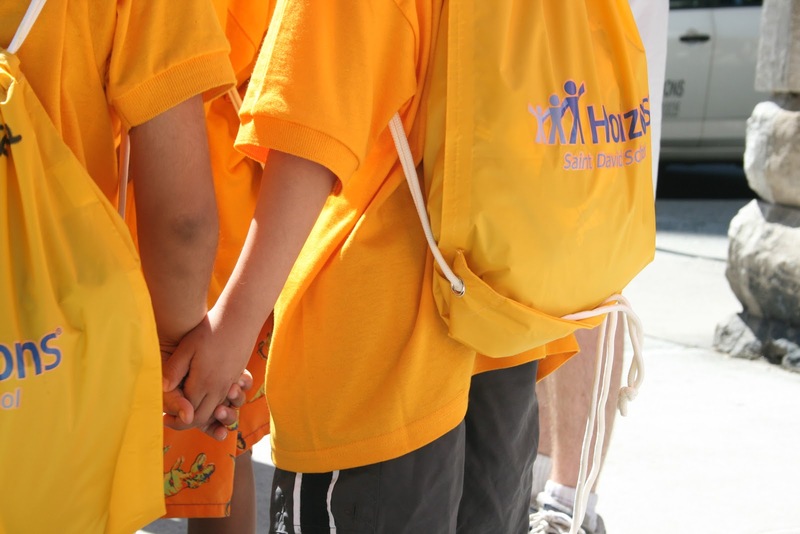 Initial funding for the program came from the Founders’ Circle, a collection primarily of Saint David’s families and friends; Horizons National also generously provided seed money. 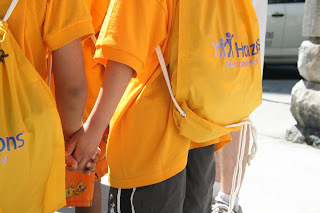 Moving forward, Horizons at Saint David’s will stand on its own soliciting funds from foundations and corporations as well as individuals from the extended community who have an interest in supporting the academic development of at-risk boys from low-income, diverse families. If interested, please give us a call.